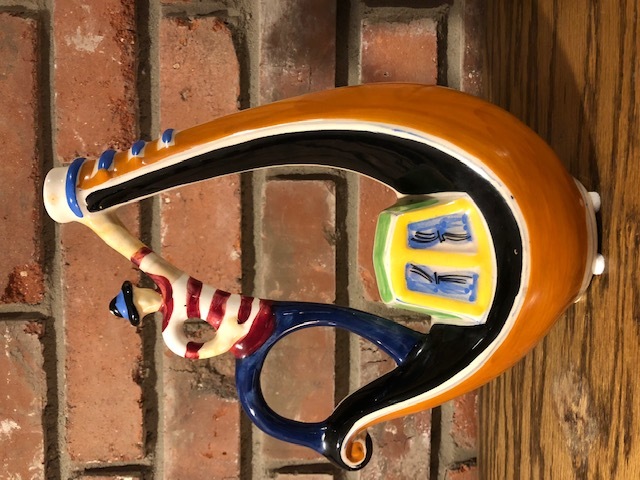 Hi, hoping someone has a little info on this Italian majolica gondola item. 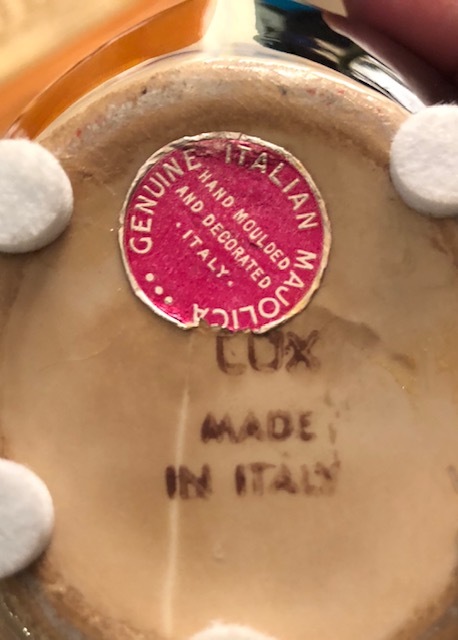 Stamped COX made in Italy and has an original sticker. I am completely guessing this to be an oil pitcher or something.